Sandi Claws in the bath tub here. 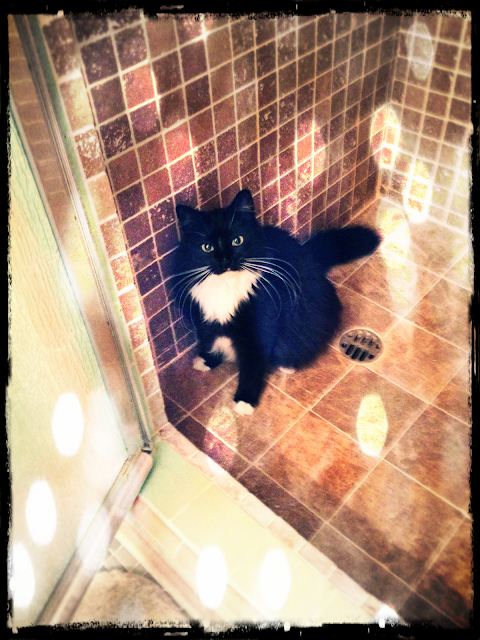 I like the shower too! Uh, you know there's WATER in there, right? Both in the tub and the shower? We say get out NOW, before it's too late! Oh you precious adorable baby! This is Katie Isabella's mommy. I just haven't gone back to her blog again yet. 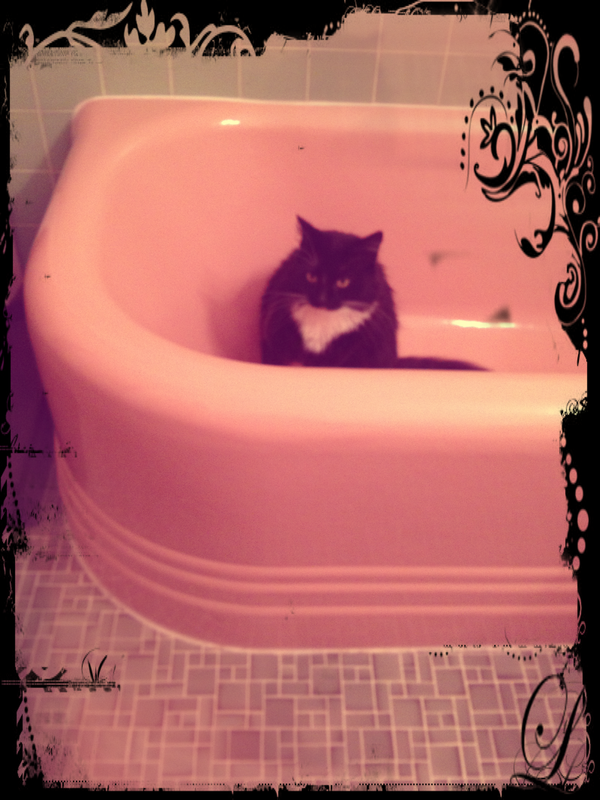 uhm......seriouslies...there could be water on you in 3...2... RUN!